PT. Alson Integra Lumindo Sell LED Strip Lights (also known as LED ribbons or light bands) are flexible circuit boards that are filled with surfaces mounted with light-emitting diodes (LED SMD) and other components that are usually equipped with adhesive. Traditionally, strip lights have been used only in accent lighting, backlights, task lighting, and decorative lighting applications. Increased luminous efficacy and higher SMD have enabled the LED Strip Lights to be used in applications such as high-brightness task lighting, fluorescent lamps and halogen lamp replacement equipment, indirect lighting applications, Ultra Violet checks during the manufacturing process, set designs and costumes, and even planting plants. The use of LED Strip Lights has increased rapidly in modern lighting designs throughout the world. Architects and lighting designers implement LED Strip Lights for residential, commercial and industrial projects with increasing speeds. This is due to increased efficiency, choice of colors, brightness, and ease of installation. A homeowner can now design like a lighting professional with a complete lighting kit and one or two hours. There are many choices on the market for LED Strip Lights (also called LED ribbon lights or LED ribbon lights) and there are no clear standards for how to choose LED strip lights. Do you want to light your garden with garden lights outdoors. 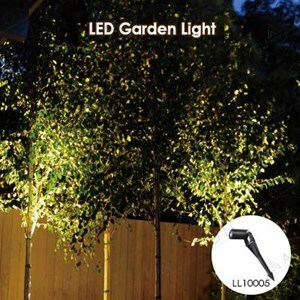 a collection of other outdoor lights that can be used like the LED Strip Lights, so you can add a classy touch to your garden and driveway with a beautiful garden lighting set. Garden LED lights are perfect for creating an outdoors atmosphere, a series of garden lights will create your mood while enjoying a night's rest. Decorate the garden area with colorful LED Garden Lights to help create a warm and friendly atmosphere outside. Other types of garden lights are LED Strip Lights that can be used as cove lights, under shelf lighting, architectural lighting of the garden or ideal for lighting enhancement of unique features in modern kitchen.